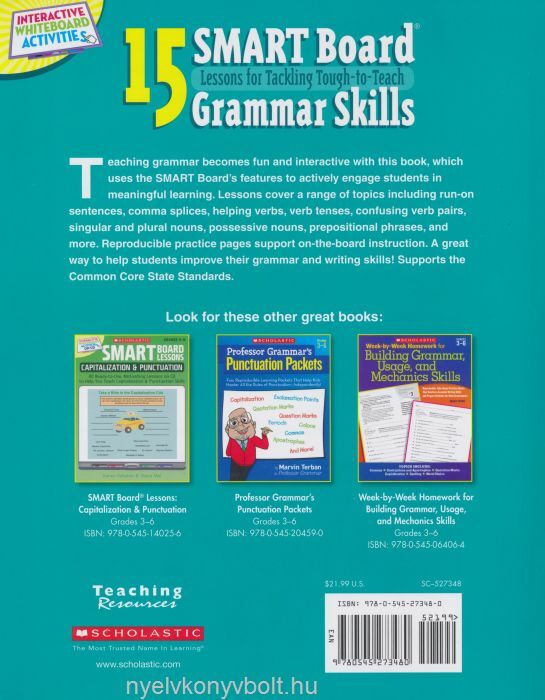 Teaching grammar becomes fun and interactive with this book that uses the SMART Board’s features to actively engage students in meaningful learning. Lessons cover a range of topics including run-on sentences, comma splices, helping verbs, verb tense, confusing verb pairs, singular and plural nouns, possessive nouns, prepositional phrases, and more. Reproducible practice pages support on-the-board instruction. 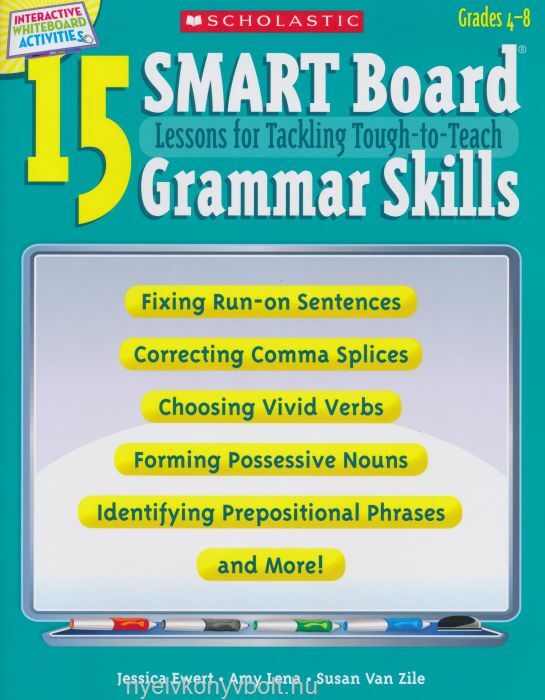 A great way to help students improve their grammar and writing skills!